2017 was a year of great change in investment tendencies. Cryptocurrencies have become one of the most promising assets to invest in. The industry’s global market capitalization exceeded $750 billion in 2017. Sounds quite impressive, doesn’t it? According to analytics, this year (2018) is projected to be even more advanced for the growth and expansion of this Industry. There’s one particular example that proves there are many opportunities to be seized. 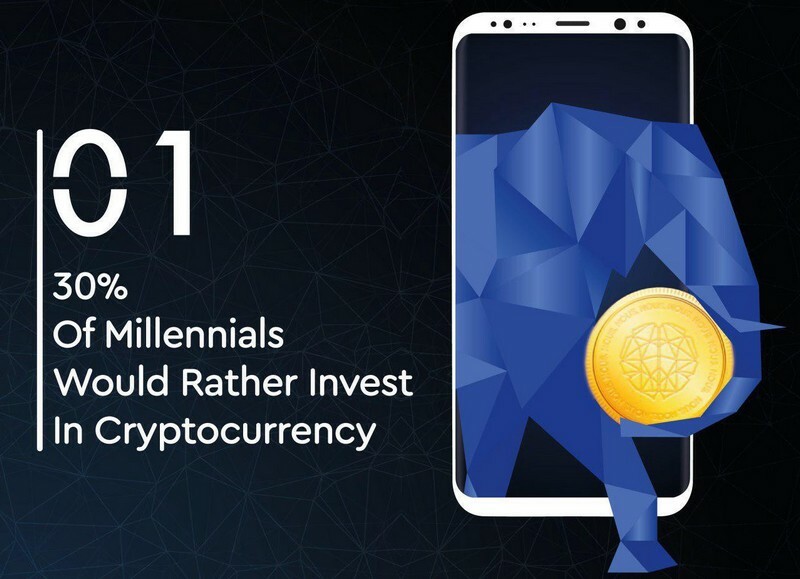 According to Blockchain Capital, 30% of respondents aged 18–34 found cryptocurrencies to be the most suitable option for investing. But obviously, not all of them share the same views. Why do some still doubt when it comes to investing in cryptocurrencies? Let’s take a closer look at potential risks and how to avoid them. 1 Invest In Cryptocurrencies: What Are The Risks? Invest In Cryptocurrencies: What Are The Risks? If you keep an eye on the Bitcoin value, you’ve definitely noticed that in February 2018 its price decreased to $6,000, even though six weeks ago its value exceeded an astounding $20,000. Such volatility has spooked a lot of potential investors. Besides, traders’ losses due to Bitcoin’s volatility in this period, there seems to be one more argument in defense of the volatility of cryptocurrency as a concept for crypto skeptics. However, for the sake of being objective, we need to point out that such a price swing was caused not by Bitcoin’s inherent volatility. Bitcoin’s value decrease was caused by the Indian government policy against cryptocurrencies. Yet, in terms of integrating Bitcoin in one month, this country outperformed China . As a result, Bitcoin started regaining its grounds in the market. So, the risks associated with investing in cryptocurrencies are not that different from investing in stocks or traditional currencies. Are John McAfee’s predictions bound to become reality? The answer is, most likely, yes. So, let’s take a closer look at how to invest in cryptocurrencies wisely and avoid losing tons of money. Below you can find our top three things to be aware of, that will help you invest in cryptocurrencies and minimize a risk of suffering losses. In order to create the best trading conditions, some large traders manipulating cryptocurrencies prices by using specially designed bots. Sometimes, the value of one cryptocurrency can change significantly in just a few minutes. That’s what happened to Neo tokens last year. The difference in price per token exceeded $30. How does this work? Bots are automated traders, they sell and buy assets based on certain preprogrammed indicators. They are not new to the world of investments: they are widely used in traditional stock markets. In the cryptocurrencies world, bots can be used to artificially inflate the price of the coin by making the investors overpay for the cryptocurrency. Besides, they can be used to crash the coin value to allow the traders who own the bots buy coins at a much lower price. That’s why you as an investor shouldn’t be influenced by volatility and remain as cool-headed as possible when it comes to buying tokens and cryptocurrencies. For example, you can analyze different liquidity indexes for specific funds before making an investment (this feature is available for Nousplatform users). Every investor wants to be safe from unexpected losses. In order to achieve that, you need to calculate possible profits and losses from a particular investment very precisely. It will help you to assess potential losses and decide whether you are ready to take that risk. How do you determine whether you’re ready to take that risk? Before even starting to look for crypto assets to acquire, determine how much you are willing to invest and how much out of that amount you are ready to lose. That could be a set amount of money or a percentage. Then, compare this losses limit with potential losses from a particular investment. As a general rule, the cryptocurrencies that have already earned a good reputation are not extremely volatile in the long run. Thus, if you are looking for a long-term investment and if you choose wisely what cryptocurrency to invest in, the risks will be minimal. And vice versa, high volatility of a certain cryptocurrency within a short period of time (up to a couple of months) can’t guarantee you any stability, even if the dynamics are positive. In order to minimize the potential risks, you can diversify your investment portfolio by investing in several different funds (including the ones that haven’t launched ICO/IPO). So, before you decide to invest in cryptocurrencies, keep an eye on the market tendencies and assess the potential losses. When an ICO is launched and a new cryptocurrency appears in the market, some investors want to buy it before it gains a high market value. The reason is, they hope that the new cryptocurrency will become the new bitcoin. Don’t be one of those investors, don’t buy in to this hype. Here’s why: new coins or tokens must be backed by something (e.g., services or products produced by a particular company), just as it is the case with traditional currencies. So, before investing in tokens, you need to read the entire whitepaper, even if it means reading dozens or hundreds of pages. Keep in mind, that some ICO organizers count on you not reading the whitepaper: they may create a very long and boring whitepaper on purpose, just to confuse you. But please remember: the whitepaper is a crucial document for understanding whether the company will be profitable in the future, because if it is profitable, the tokens will have tendency to increase in value, and you will have a chance to profit as well. When it comes to buying such unusual assets as cryptocurrency tokens and coins, many potential investors have reasonable doubts regarding the profitability of such investments. So, the takeaway is: calculate the risks you are willing to take, read whitepapers, be cool-headed and rational, and don’t fall victim to trading bots. To avoid risks, any investor needs all the necessary tools for managing the acquired assets and analyzing the market to be in one place. That’s why Nousplatform was designed — to help investors assess funds, potential profits and losses, and acquire assets in exchange for Nous tokens. Nous team consists of cryptocurrency experts that are dedicated to helping you make the most profitable investment choices.